Our second Editorial for AW17 was shot in New York collaborating with Belfast born Tracey Nicholson and Canadian model Alana Zimmer. Both have been working in the fashion industry for the last 15 years. Tracey has held positions such as New York Fashion Editor at i-D Magazine and contributes to publications including W, American and British Vogue, Another Magazine, Dazed & Confused and T: New York Times Style Magazine. She has worked on runway shows and as a consultant for commercial clients including Hermes, Helmut Lang, Lacoste, Edun, Uniqlo and Nike. 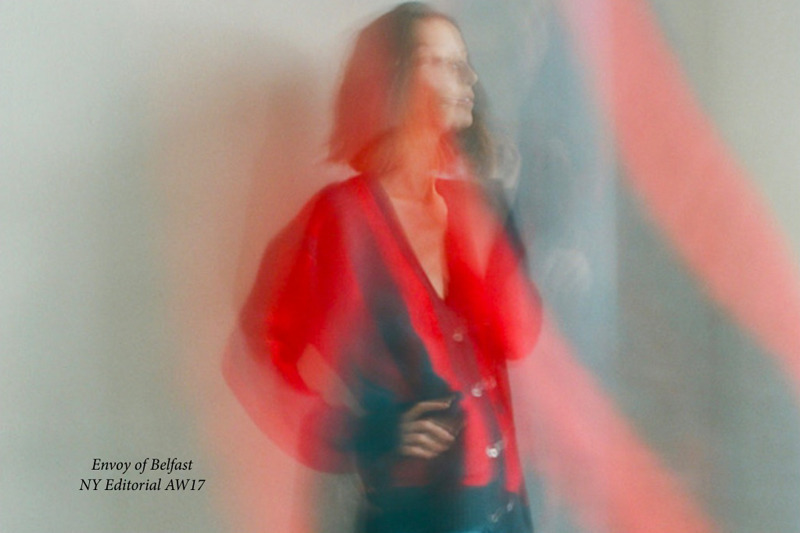 Alana Zimmer, who we’ve had the privilege to see on the catwalk for Dries Van Noten and Acne Studios, is a regular in our city and lists Belfast as one of her top destinations. Represented by Women Management and Elite models, she is a favourite of numerous other designers such as The Row, Haider Akermann, Hermes and Alexander McQueen. She has been featured in editorials for Vogue, Elle, W, Dazed and Confused. Alana is currently studying for a Psychology major at NYU.